The idea is to reduce the cost of launching satellites and other equipment into space. The system, which is being developed under the Federal Space Program, is set to cost not less than 12.5 billion rubles ($185 mln). The program is set to get financing from 2021 and last until 2025. In 2019, a mission requirement package is slated to be worked on. The program envisions a partially reusable launch vehicle equipped with a winged booster stage. After lifting the second, expendable stage of the MRKS vehicle into the stratosphere, the reusable booster would separate and glide back to Earth to be prepared for its next mission. Russia is set to develop a new Reusable Space Rocket System, or MRKS in Russian. The launches will be operated from the Vostochny space launch center in the Russian Far East. The Rocket System is being developed by Khrunichev Space Center in close cooperation with other Russian aerospace heavyweightssuch as NPO Molniya, TsAGI, and others. According to Khrunichev's official website, the MRKS-1 is a partially reusable modular vertical launch vehicle based on a winged reusable first stage, featuring airplane configuration and returning to the launch area for horizontal landing on a class 1 airfield. The MRKS-1 also includes disposable second stages and upper stages. The winged first stage is equipped with reusable liquid-propellant sustainers. According to TsAGI, the MRKS-1's reusable first stage will allow for a high degree of reliability and safety and will make booster impact areas unnecessary. This will increase the effectiveness of future commercial operations. Under the Federal Space Agency’s specified requirements, the MRKS-1 is to deliver a wide range of payloads into outer space, weighing up to 35 metric tons and more. 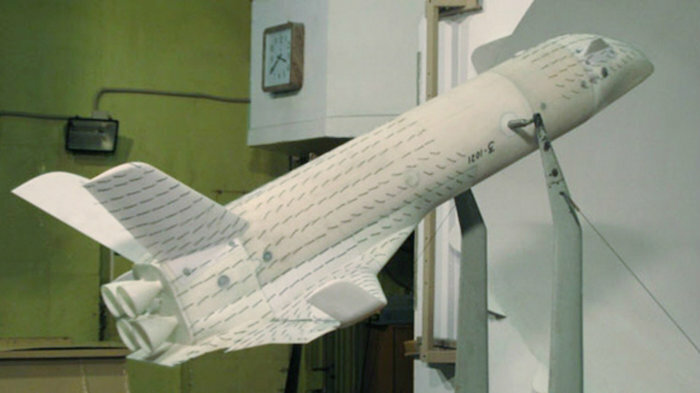 A cycle of tests of several models of winged reusable rocket stages was completed in April 2013 with the use of TsAGI's UT-1M and T-117 wind tunnels. These winged stages are to become the reusable first stage of the MRKS-1. 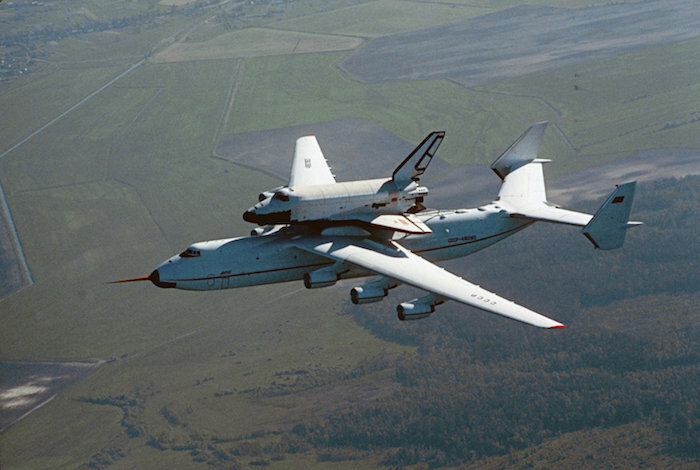 The idea of using winged vehicles for space flight has been in the minds of space enthusiasts since the dawn of the space era. In Russia, Tsiolkovsky and Tsander considered airplanes among other means of reaching outer space. Practical attempts to install rocket engines on winged vehicles were performed in the USSR and in Germany back in the 1930s. Sergei Korolev and his colleagues at the Reactive Research Institute, RNII, worked on the RP-318 rocket glider equipped with a rocket engine. In the USSR, Vladimir Chelomei, the head of the OKB-52 design bureau of the Ministry Aviation Industry, MAP, specialized in the development of winged cruise missiles. He was one of the first in the country to push the idea of a manned winged orbiter. Also, from the mid-1960s, the Mikoyan design bureau was developing a small reusable spacecraft called Spiral. This mini-shuttle would have been launched on the back of a hypersonic aircraft, itself capable of reaching Mach 6 (or six times of the speed of sound). After separation from the carrier aircraft, the Spiral would be powered by an attached rocket stage. At the beginning of the 1970s, the US made the Space Shuttle a primary project of its manned space program. According to NASA predictions, the Space Shuttle would replace the entire fleet of existing rockets and lower the cost of launching satellites. In 1976, the Soviet government decided to respond with a similar spacecraft, Energia-Buran. However after a single flight in 1988, the program quickly ran out of funds, as the Soviet Ministry of Defense fully realized the lack of purpose for the system, compared to its tremendous cost. With the collapse of the Soviet Union, the program was essentially shut down and, in 1993, the head of NPO Energia, Yuri Semenov publicly admitted that the project was dead.